For a grower, it is essential to know how to identify the gender of cannabis. Only the female plants develop buds. Nurturing male plants may be a waste as they are not of much benefit unless you aim to produce seeds. In case you are new to growing and are wondering “what gender is my cannabis?”, below we explore various ways on how to identify cannabis plant gender. A cannabis plant goes through two main stages of life. These are the vegetative and flowering stages. In the initial phase, you can’t tell what gender the plant is. However, at about six weeks, the plants start showing signs of flowering and pre-flowers form at the joints. It is at this stage that marijuana will form pollen sacs or buds. With time, the females develop pistils while the males form clusters of pollen sacs. To identify if the plants are male or female, you have to pay attention to the pre-flowering phase. When dealing with indoor cannabis, the plants exhibit their gender in about two to three weeks of changing their light schedule. The female flowers may take a little longer to show their gender signs than their male counterparts. Inspect the plant at the point where individual branches or nodes join the main stem regularly. When the plant is female, it will have some feathery white hairs at the site of connection. On the other hand, males have pollen-filled grape-like balls. 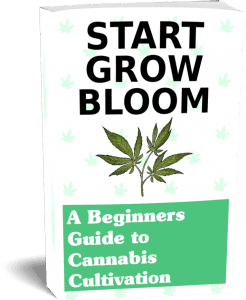 In some instances, the pre-flowering stage may not offer obvious signs on whether the cannabis is male or female. The female may delay releasing the pistil, which might make it look like a developing pollen sac. Where this happens, giving the plant a little more time will reveal its gender with certainty, given that it remains in its flowering stage until harvest. In most cases, pointy pre-flowers will usually turn out to be female. Other than the flowering process, you can also identify the gender of the plant from its physical attributes. The male plants tend to have a sturdier and thicker stalk, and fewer leaves. Furthermore, they are taller than the females. It is also possible to encounter hermaphroditic plants. These bear organs of both genders, which means they will produce pollen. As a result, they should be eliminated to prevent interference with the quality of the end product. Once you have successfully identified the male plants, it is essential to get rid of them. If not eliminated, the pollen sacs will eventually burst and spread the pollen into the surrounding thus fertilizing the female plants. 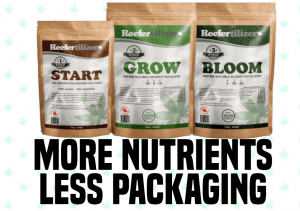 Fertilization is only relevant if you aim to produce seeds and not highly potent cannabis. You could also avoid dealing with male marijuana by buying feminized seeds, so all your plants are female. While the identification process is most vital for persons growing it for medicinal purposes, most users prefer the female plant due to its high potency. When you know how to identify cannabis gender, it saves you time and energy that you would otherwise spend nurturing male plants. Be proactive and use the above techniques to maximize available space and time so you can increase your yield.